Okay, admit it. How many of you grew up with the admonition from your parents, “Sit up straight; Don't slouch; You'll ruin your posture? !” Well, as it turns out, mother may not have known best. New research suggests that the traditional upright position with the back at a 90-degree position in relation to the legs, most often assumed by sedentary office workers worldwide, may actually cause back pain and possible future spinal weakness or damage. According to the researchers, the traditional “slouch” -- semi-reclined with the legs at a 135-degree angle to the spine -- is far better for the back than your parents' upright position. It seems that sitting back and slouching minimizes spinal disc compression and potential deformation. Slouch a little. Any pressure you take off your intervertebral discs is good. Keep hydrated. Discs need water to maintain their plumpness, which is essential for them to perform their function as shock absorbers. Keep hydrated. Discs have no blood supply. They receive all their nutrients from the “wash of fluid” they are bathed in. If you dehydrate, less fluid is available, which mean your discs are starved of nutrients. The net result is gradual degradation of your spinal discs. Exercise your abdominal and back muscles regularly to improve your core strength. The stronger your core, the stronger your back. Stretch your back regularly – forwards, backwards, and sideways. This not only opens up the vertebrae; it also works to pump fluids into your discs helping to re-plump them. Every half hour or so, take a break from sitting. Get up and walk around for a minute or two. This keeps the back from tightening. Proper nutrition is important – particularly those nutrients that promote the growth of cartilage. 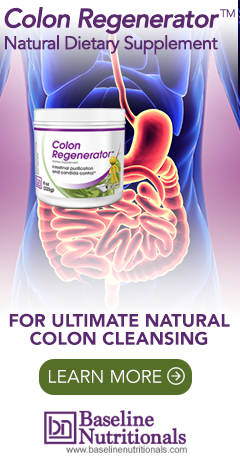 Cleanse your colon regularly. Colon toxicity causes back muscles to tighten. Make sure you optimize your body's pH. A high acid diet leaches calcium from your bones. As you can see, it isn't just about developing a more ergonomically beneficial chair, although that can be helpful. In the end, your back is only as strong as its weakest link. Do everything above and be sure and slouch a little – at least until the next study concludes the exact opposite: that you should indeed sit upright. My back has always felt better when I slouched in my chair at work. I've been slouching for years. It's great that the researchers figured it out, too. Sorry, not buying it. If nothing else, slouching will cause your neck to jut forward, and will lead to the forward neck posture that is becoming more and more prevalent among computer users (and people who are constantly texting.) This posture shortens the anterior neck muscles, the pec minor muscle, the internal rotators of the shoulders, and lengthens the posterior neck, rhomboids, and external shoulder muscles. This is called the upper cross syndrome, and it can cause many problems with neck, upper back, shoulders, and even forearms and hands. I don't mean to go on and on, but I think there are better options, many of which you mentioned after the slouching, to consider. I really like this article. I appreciate your effort. Your writing style is unique and interesting Keep it up.